New subscribers only. Limit 1 per person, may buy 4 additional as gifts. Limit 1 per order. Valid only for option purchased. Online only. Shipping is included for the 48 contiguous states (US) - $5 additional shipping for HI, AK, and Canada. 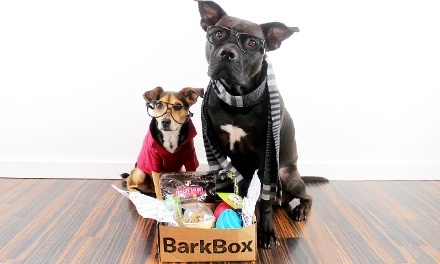 BarkBox ships out on the 15th of each month. See return policy. Non-transferable. Plan will not auto-renew; customers have the ability to change subscription or cancel at any time.